Are you struggling to get leads for network marketing and build your business? It’s a common problem. If you’ve exhausted your list of family and friends without much success, then read on. You can benefit from using a network marketing sales funnel. I used to feel the same way as you: frustrated because the people I share my products or opportunity with didn’t have the same enthusiasm as I did. That makes sense though. They weren’t looking for a product or opportunity! To build a network marketing business, you have to step out of your inner circle to meet the people who are looking. That’s exactly what I did to expand my reach online. Don’t get me wrong. 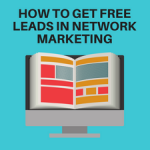 Many people will tell that you are using outdated methods to get leads for network marketing. Those tried and true methods still work but you can expand your efforts tenfold by building a sales funnel that does the work for you. 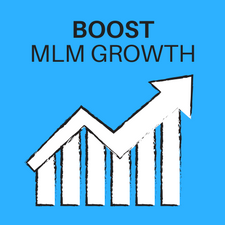 This post will help you learn about how a network marketing bridge funnel can boost your MLM growth in a big way. 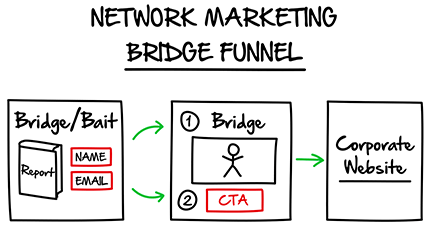 What is a Network Marketing Bridge Funnel? According to Wikipedia, a Conversion funnel is a phrase used in e-commerce to describe the journey a consumer takes through an Internet advertising or search system, navigating an e-commerce website and finally converting to a sale. A network marketing bridge funnel is similar. It’s a way to introduce a person to your offer on a personal level. If a person shows interest, they move through the funnel by entering their email address and then being direct to another webpage. For example, your bridge page may consist of a video that gives information and compels your visitor to enter their email to learn more. It is essentially a capture or landing page. You may be wondering why this is important. Let’s say that you just put your link to your MLM product or opportunity. A percentage of people may take the offer but a larger percentage will not. When you capture their email address, you can then continue building a relationship through email marketing. In addition, a network marketing bridge funnel will help guide a visitor through your offer. It’s a wonderful sorting tool because only those that are truly interested will continue through the funnel. The best part is that they do this on autopilot. Once you set up an MLM sales funnel, visitors will go through it while you sleep. I’ve had thousands of people go through my sales funnels resulting in thousands of leads and customers. 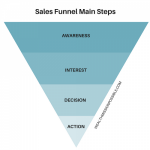 What are the Main Components of an MLM Sales Funnel? In a nutshell, here’s a simplistic view of the main elements of a network marketing sales funnel. Create a funnel page that provides value to your audience. Here’s where they will enter their name and email address so this should be something compelling. For example, it can be a video or free eBook that will help them in some way. They will receive an email with the link to download the free giveaway. After entering their information, they will be directed to the second page in your funnel which is the Bridge. It should include a video and a call to action (CTA). This is where you can autoplay a video that compels a person to take action. If this person is truly interested, they will take action and be directed to your company MLM website. Whether they do or do not continue on to this step, you have their email address! Now you use your autoresponder to send emails and build a relationship over time. With digital marketing, you have a whole new way to find and recruit prospects for network marketing. There are millions of people in the world and a percentage of them are looking for what you have to offer. Let them find you by getting your MLM sales funnel in front of them. Get Started Now with your 14-day Trial Membership! !